With fanfare and high expenditure in top brass, high-calibre personell on both sides of the podium and with high travelling costs, GE (General Electric Company) announced in its GE Global Research Europe Center in Garching (near Munich), Germany on July 15 the GE's US $200 million ecomagination Challenge to seek for external breakthrough ideas for a smarter, cleaner, more efficient electric grid, and to accelerate the adoption of smart grid technologies. The same announcement was made by Jeff Immelt, CEO of GE, at a conference in San Francisco on July 13, announcing three major initiatives that GE is committing to in order to advance their ecomagination project. GE is planning to expand further into the clean tech world, and to drive innovation around the smart grid, energy efficiency, renewables, and electric vehicles. ecomagination.com. This ecomagination Challenge was further explained in Munich by Steve Fludder, Corporate Vice President ecomagination based in Boston, MA, USA. The challenge is initiated by one of the biggest energy supplier companies of the world, incorporated in 1892 by US enterpreneur and inventor Thomas Alva Edison (1847-1931). It is targeting to reach worldwide businesses, entrepreneurs, innovators and students. They are asked to submit their ideas to GE for a better energy world. GE thought when they started: "it costs too much" -- They discovered: "it saves money." GE thought when they started:"it's about green" -- They discovered: "it's about industrialization." GE thought when they started: "customers will hate this" -- They discovered: "customers like saving money." GE thought when they started: "this will be action by the elite" -- They discovered: "this is about scale and creating jobs." GE thought when they started: "we'll be going it alone"-They discovered: "a system is required." This slide was even shown twice during the day. Asking Mr. Becalli-Falco after the conference how long it took GE from the stage: ...when we started" to: ...we discovered", he explained to me that it was reached in a periond between three to five years, ...depending on the area of work and the individual customers..." Quite an achievment, reached by such a huge organization in that time. GE has doubled research and development (R&D) expenditures in clean tech to US $5 billion, Revenues from the ecomagination brand grew 400%, from US $5 B to US $20 B over the same time period, The company lowered their own emissions by 22%, and saved US $130 million in energy, water, and other resource costs. According to the speakers, this is just the beginning. Participants are asked to submit their ideas online, vote for the most promising teams and "...help us to change the way the world uses energy in powerful new ways..."
According to GE, renewable energy holds extraordinary potential for helping "us" to create the energy to meet "our" growing needs. Many forms of renewable energy are highly variable in their output. This is where a more intelligent system comes in, integrating and managing renewable energy sources. GE is developing technologies that protect the quality of power, compensating for voltage flactuations and managing output intermittency. GE wants to provide utilities with better information about energy production, transmission, consumption and energy system health to help them protect equipment and ensure safe, reliable power. Making the best use of energy created by renewable resources is critical to a reliable supply of affordable energy. GE is then asking potential participants: What kinds of technologies or processes do you think will maximize the penetration of renewables on the grid? According to GE, the U.S should have the most efficient grid in the world. But we don't. "Our" grid wastes energy at every point during every day. The solution is to connect advanced power generation to a more intelligent and more efficient grid -- that then connects with consumers. GE is looking at different grid technologies that help lower losses and those that anticipate and monitor demand. Reducing losses frees up grid capacity, reduces the need for infrastructure capital expenditure, and protects consumers from steep rate increases. Reducing voltage eliminates the over-delivery of energy, so customers are not paying for unused energy. GE is asking the potential participants: In terms of technology, processes and policy, what do you think are the best means to help ...us" to realize greater gains in grid efficieny and outage management? I ask GE at this point: This is also not at all new. Why so addicted to the grid? Why are you not thinking of the 1.7 billion people worldwide who have neither access to eletricity nor to a decent water supply available? Why are they so neclected? According to GE, energy consumption is growing so quickly that it's creating an imbalance between demand and supply. This mismatch short-circuits power production and distribution, leading to higher energy costs for consumers and businesses. ...We need to change how and when we use energy. We're looking at many promising technologies to help power companies and their customers share information and manage their energy use better. At GE, we are already working on a wide range of promising technologies, including smart meters and appliances that let consumers' appliances "talk" to their power utility; wireless AMI; home area networks; renewable integration tools; demand response systems; home energy use monitoring; time-of-use pricing; plug-in hybrid electric vehicle integration; and neighborhood micro grids. GE is then asking potential participants: What new technologies, processes or business models can help consumers use energy more wisely and improve our energy balance? I ask GE at this point: This third challenge is more or less already defined in challenges number 1 and number 2. How can a electricity grid in a small country like Germany being 1,600 kilometers (approx 1,000 miles) long ever become smart? Why are you not addressing X and Y? An equity investment by GE or others. A cooperative agreement to develop a product or technology. A distribution or marketing agreement. A review of your product or service for possible qualification to be a part of the GE ecomagination program. In addition to the above awards, the one Entry receiving the most user-submitted votes during the Voting Period will receive, subject to GE's review of the Entry for inappropriate content, a cash award of US $50,000. NO OBLIGATION: You acknowledge that multiple participants may submit Entries that contain concepts or technologies similar to your Entry and that GE, its subsidiaries and business partners may already be pursuing technologies that are related or similar to those that you disclose in your Entry. You acknowledge and agree that GE's action with respect to another Entry, even if similar to your Entry, shall not create in GE any liability to you or others. Further, GE is not and shall not be restricted in any way from pursuing, developing, or commercializing, in any way that GE sees fit, independent of you and at GE's sole discretion, any technology that is created independent of your Entry. For the avoidance of doubt, you acknowledge that GE is not obligated to take any action whatsoever with regard to your Entry. WAIVER: By entering the Event, you waive all rights to seek injunctive or equitable relief, or to claim punitive, incidental or consequential damages, or attorneys' fees. It this point I ask GE: Is this not a little too cheap? Do you think that the commitment of GE is in balance in regards to the request to the potential participants? You are asking third parties like businesses, entrepreneurs, innovators and students to share their best ideas on how to build the next-generation power grid. And they just might get funded. Or may not, see above. The prices "...at GE's sole discretion, one or more of the following: (a) An equity investment by GE or others...(b) A cooperative agreement to develop a product or technology...(c) A distribution or marketing agreement...(d) A review of your product or service for possible qualification to be a part of the GE ecomagination program..." are more than debateable. I wonder, how, on which basis/calculation GE can come to announce the sum of US $200 million which is mentioned in the headlines of the GE ecomagination Challenge. Or do this US $ 200 million also includ external cost for agengies, consultants etc, who are engaged in the Challenge? All this appears to me far out of balance. When companies of with a status like General Electric Company are actively initiate a global public request for bids (tender), like GE is doing with its ecomagination Challenge, they should have looked at it before from all thinkable angles. And even from those, who might not be thinkable, because of lack of imagination. The ecomagination initiative challenges, terms and conditions suggest a greenwashing campaign like Dupont and other big pollutants did. We hope, at least, that this campaign will make people think differently and be open to real green products and services. If only Thomas Alva Edison knew. Also, I am courious about the number of real entries CE is going to receive. I wish them all the very best. I also wonder, which effect this action will be having on the GE employees. 35,000 of those are working in R&D alone. I am sure, that you, "the GE management", underestimates the power in these individuals, who are on the GE payroll already. And you also underestimate the impact, this GE ecomagination Challenge has on your own employees. Most of them will return "back into normal working mode" when they hear about this initative. Their emphasis to work hard for GE and to greate "greater values" for GE will have been highly dampened by the GE ecomagination Challenge. I also wonder, which effect this action will have on other stakeholders. They might get nervous, wondering and questioning themselves: Does "my" esteemed company GE really have to rely on external knowledge from students? Nothing against students at all, hower, but a GE shareholder may think: So far, I trust(ed) the GE management as I thought they knew what they were doing, also in repect to future market opportunities. Viele reden von Wasserstoff, kaum einer weiß, wo er nachhaltig herkommen soll. Milliarden Menschen leben heute im materiellen Wohlstand, der auf einem fossil-atomaren Energieversorgungssystem aufgebaut ist. Doch nicht nur die Endlichkeit dieser Ressourcen, sondern die gesamte Schädigung der Umwelt, die aus dem Verbrauch der globalen Energievorräte hervorgeht, stellen die Menschheit vor immer größere Herausforderungen: Einerseits muss der Verbrauch fossiler Brennstoffe gedrosselt, zugleich jedoch der Energiebedarf einer beständig wachsenden industriellen Zivilisation gedeckt werden. Zwar liegen heute noch Welten zwischen dem Energieverbrauch pro Person in den Industrienationen und den dynamisch wachsenden Schwellenländern. Aber die Menschen in diesen Regionen werden sich immer mehr dem Verbrauch in den Industrieländern anpassen. Wer will ihnen den Zugriff auf Energie und Mobilität verweigern? Eine globale Energiewende ist durch die Nutzung erneuerbarer Energien technisch möglich – auch ohne fossile Brennstoffe oder Atomkraft. Hier wird seit Jahren der Aufbau einer Wasserstoffwirtschaft diskutiert, vieles wurde versprochen, einiges wurde erreicht, aber die Frage bleibt offen: Gehen die heutigen Entwicklungen in die richtige Richtung? Weltweit sind fast alle aktuellen Wasserstoff-Aktivitäten den Ideen der 70er Jahre verhaftet, als die erste Ölkrise staatliche Forschungsprogramme in den USA, Japan und Europa ins Leben rief. Was schon damals fehlte und bis heute immer noch fehlt: Eine intensive Auseinandersetzung damit, woher der Wasserstoff eigentlich kommen soll, der die oft zitierte „Wasserstoff-Wirtschaft“ oder, besser noch: eine zukünftige „Wasserstoff-Gesellschaft“, antreiben soll. Immer noch ist die Gewinnung des Wasserstoffs aus fossilen oder nuklearen Primärenergien die allgemein akzeptierte Vision einer zukünftigen Wasserstoffwirtschaft. Dieser Weg führt nicht wirklich weiter, wenn man es mit der Reduzierung von Umweltschäden durch den Verbrauch fossiler Ressourcen und mit einer effektiven Energieversorgung wirklich ernst meint und dann trotzdem auf den Verbrauch fossiler Ressourcen zurückgreift. Leistungsfähige und schadstoffarme Produktionsverfahren für Wasserstoff müssen implementiert werden, um Raum für neue Ideen zu schaffen. Klimaschutzpolitik wird heute eher halbherzig in dem althergebrachten und unflexiblen Geflecht der zentralen Energieversorgung betrieben und durch den Bau „effizienterer“ Kraftwerke oder der Forcierung auf Kernenergie reduziert. Die hohen Verluste, die in diesem Prozess bei der Erzeugung und Verteilung von Strom anfallen, scheinen allerdings niemanden zu interessieren. Was nicht so schwer zu verstehen ist: Wer hat schon Interesse daran, das System der größten und mächtigsten Industrie der Welt, die der fossilen Energiekonzerne, in Frage zu stellen? Auch die viel propagierte Strom- und Wärmeerzeugung aus Biomasse schafft keinen wirklichen Hoffnungsträger. So, wie sie heute betrieben wird, führt sie zu nichts anderem als zu stromgesteuerten Bioenergie-Kraftwerken, die mehr schlecht als recht mit Kraft-Wärme-Kopplung arbeiten. Da sie auf jahrhundertealten Technologien basieren, bieten sie wenig Intelligenz- und Optimierungspotential. Nur wenig der eingesetzten Primärenergie wird hier, aufgrund der thermischen Umwandlung und der physikalischen Gesetze der verwendeten Dampf-Kreisläufe und Verbrennungsmotoren (Carnot-Prinzip), in Elektrizität umgewandelt. Darüber hinaus verhindern große Leitungs-und Umwandlungsverluste den effektiven, sinnvollen Umgang mit vorhandenen Ressourcen. Wo steht geschrieben, das wir eine zentralistische Energieversorgung brauchen, bzw. das diese zwangsläufig ist? Wir brauchen keine Verbesserungen in einem verlustreichen System der Energieversorgung. Was wir benötigen, sind radikal neue, globale Ansätze, die alle Anforderungen an eine nachhaltige Umwelttechnologie erfüllen. Karl-Heinz Tetzlaff zeigt einen solchen Weg auf, der eben nicht auf zentrale Strom-Erzeuger und - Verteiler-Strukturen aufbaut. Sein Vorschlag: Man nehme eine bzw. mehrere gute Ideen, verbinde sie zu einem ganzheitlichem Konzept und kreiert damit eine dezentrale, wärmegeführte, echte Wasserstoff-Infrastruktur, die diesen Namen auch verdient. Als Primärenergie schlägt Tetzlaff Biomasse vor, die zu Wasserstoff umgewandelt wird. Was sich einfach anhört und schon heute technologisch beherrscht wird, bedeutet einen Quantensprung der gesamten Energieversorgung: Weg von Öl, Kohle und Gas, hin zu dezentraler Energieerzeugung und -Verteilung. Elektrizität, Transportleistung und Wärme werden erst am Ende der Wertschöpfungskette am Ort des Verbrauchers geschaffen. „Power to the people“ im wahrsten Sinne der Worte. Alle Verfahrenstechniken und Komponenten dafür sind bekannt und werden beherrscht, es geht eigentlich nur um die wirklich “sinnvolle” Verknüpfung dieser Elemente. Die Logik seiner Ideen ist frappierend: Der Werkzeugkoffer in diesem Buch ist von Tetzlaff perfekt gepackt, alle Komponenten sind detailliert erläutert und mit Zahlen, Daten und Fakten unterlegt. Jeder kann sofort unter dem Motto: „Es gibt nichts Gutes, es sei denn, man tut es!“ biologisch mit der Realisierung beginnen. Ich hoffe sehr, dass es uns gelingt, den Einsatz nachwachsender Rohstoffe in der Strom- und Energieversorgung ökonomisch und ökologisch sinnvoll zu nutzen und damit auch die Wasserstoffwirtschaft zu etablieren, die von Experten seit Jahren prophezeit wird. Fangen wir heute damit an! Everybody can now be pleased to have found the "guilty" in energy consumption. In summer 2008, the number of registered mobile phones (in German also mistakenly nicknamed: "Handy"), will exceed 3.3 billion, which means over half of the world’s population now statistically owns a registered wireless mobile phone. Congratulations to all involved in this process! About the Development of Renewable Energies in Germany in 2007. What do the numbers: 6.6, 6.7, 6.9, 8.5 and 14.2 have in common? All give the proportion of renewable energies (RE) at the Primary and Final Energy Consumption in Germany in 2007 in percent. Which figure, however, is correct? With a new reliable, cleaner and decentralized Energy Supply based on Hydrogen and Fuel Cells, incidents like the August 2003 blackout in U.S. and Canada would not have happened. The "components" to achieve this goal are all available; some need additional R&D work, but the target can be achieved. The question “Why should I buy a fuel cell?” is discussed by experts at nearly all weekly Fuel Cell (FC) conferences worldwide. This question is also spinning in the heads of some highly relevant target groups: politicians, governmental administrators, the media, the general public and most importantly, our future generation. This outlook of the future will show what could be the necessary elements needed to move Hydrogen and Fuel Cells (H2/FC) to commercialisation. Rather than focusing on the technology itself, this article concentrates on the “bigger picture” comparing how influences have impacted the progress of developing new technologies in the past and how this precedent can be applied to the present day situation. In this process, the consumer plays the key role. Applications and Markets, page 166-167. The future of hydrogen economy based on fuel cells might depend not on replacing our existing energy-powered equipment, but on consumer demand for new products and services that we can’t imagine today. 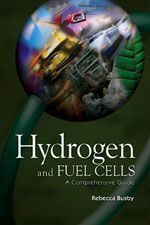 Novel uses for hydrogen could add value to peoples’ everyday lives, perhaps just by saving time. Convenience and usefulness could drive demand and accelerate mass production, said Arno A. Evers of Arno A. Evers FAIR-PR. History shows that completely new services enter the public market as luxury goods at very high price, affordable only by elite, wealthy consumers. If the service of product offers desirable advantages, demand will grow and production costs will fall, lowering prices. The breakthrough for everyday fuel cell applications could come from a new service with unforeseen benefits. One example might be what Evers calls the personal power car, similar to Amory B. Lovins’s concept described in Chapter 1, which would be fuelled initially by reformed natural gas and eventually by renewable power. However, consumers would have to be able to save money by using heat and electricity produced by the car and also make money by selling power from it while the car is parked.